‘Tis the season for giving thanks, giving back, and getting a whole bunch of year-in-review stats! Today, in honor of Thanksgiving we’re looking back at some of the most interesting tipping trends from 2015. 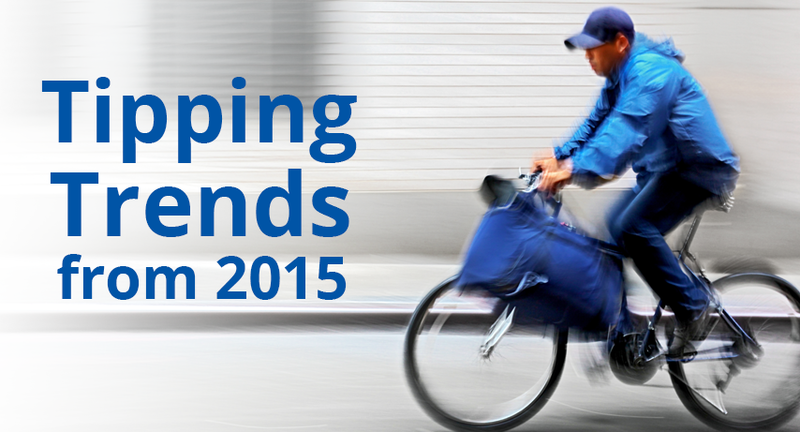 First off, let’s all pat ourselves on the backs—this year we tipped delivery workers 5% more than in 2014! While the average tip percentage stayed the same, the average dollar amount went up, meaning people ordered more and tipped their delivery drivers, bikers and runners accordingly. Sounds like a win-win to us. Overall, New Yorkers hold the title of Best Tippers at over 15%, while laid back Los Angeles lags behind the pack with the lowest tip totals—almost 5% less than the national average. That said, New York delivery workers might just have the toughest jobs in the biz; there’s nothing quite like weaving a bicycle through Midtown traffic in a foot of snow to deliver ramen while it’s still piping hot. Speaking of giving a bigger tip for a job well done: the highest tipping days of 2015 all correlated with inclement weather. New Yorkers, remember January 26th, when the temperature hovered around 20° and you got 5 inches of snow? Well, tips were up 13%! Chicago’s biggest tip day came a few days later on February 1st, another 20° day that saw tips rise by 12%. And in Boston, February 9th brought frigid 14° temps and tips increased by 20%. Strangely enough, November has historically been the worst tipping month over the last few years. But hey, there are still a few days left to buck the trend! 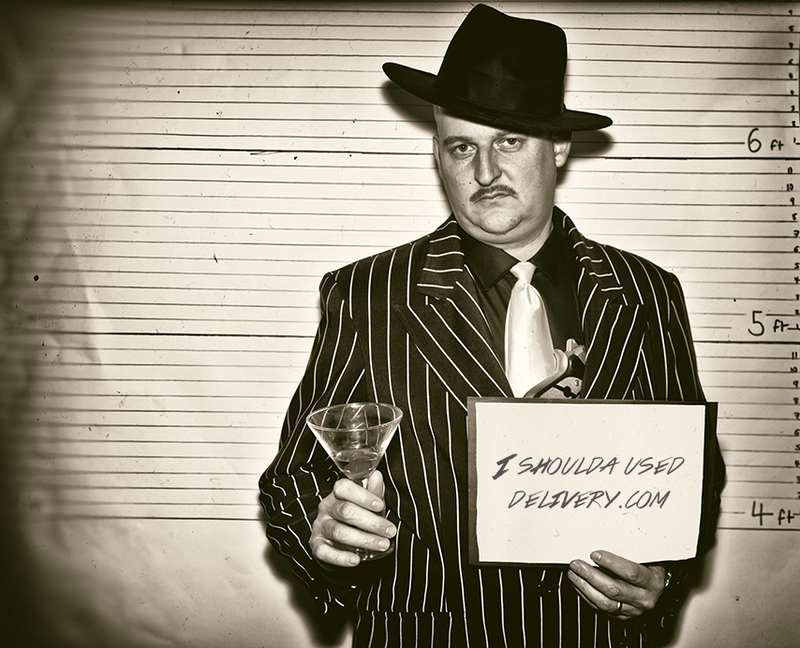 As for delivery.com’s tip policy: Everything you tip always goes straight to your delivery person. We never take a percentage of the tip, and we make sure that our merchant partners pass all tips to their delivery staff rather than putting it towards our fee. 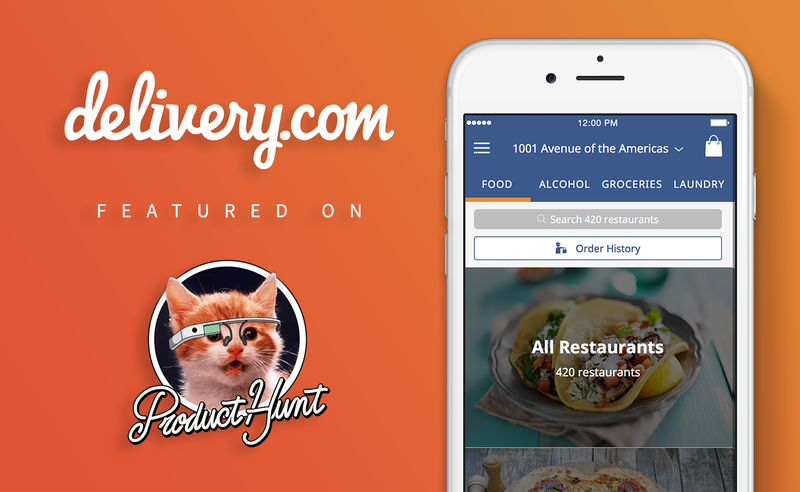 Check Us Out on Product Hunt!